Dr. John Kong and his dental team take pride in providing the least invasive oral treatment available to our patients. This is why we offer the Pinhole Surgical Technique™, a minimally invasive, fast, and effective treatment option for those suffering from gum recession. 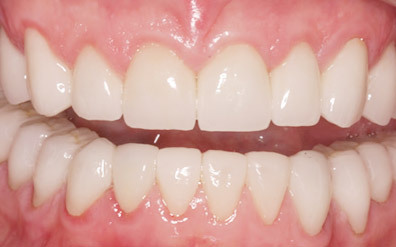 In the past, receding gums have been treated using tissue grafts, replacing the diminished gums with tissue taken from other sites in the mouth or from a donor. But this procedure requires many sutures, multiple incision sites, and time for the grafted gums to heal. Fortunately, there is a new way to treat receding gums, one which presents a significant improvement on traditional methods. Dr. John Kong is proud to offer treatment using the Pinhole Surgical Technique™ , the latest advancement in restoring receding gums. Why should you consider the pinhole surgical technique™? Gums recede for many reasons, including hormone fluctuations, the use of tobacco products, tooth clenching and grinding, a misalignment in the teeth, gum disease, or simple genetic predisposition. 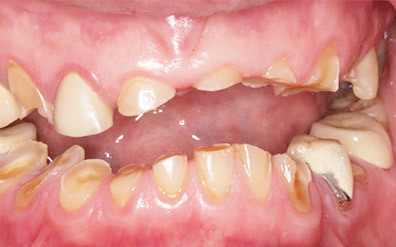 Receding gums expose the roots of teeth, leaving them vulnerable to infection and causing pain and sensitivity. Left untreated, receding gums can lead to the loss of teeth and deterioration of the jawbone that supports them, causing serious damage to your smile and your overall oral health. In order to prevent these outcomes, the gum tissue must be restored. Faster, less painful recovery: The minimal damage to your gum tissue means a reduced recovery time with less discomfort than traditional methods. Immediate cosmetic improvement: The Pinhole Surgical Technique™ provides immediate, long-lasting, natural-looking results. The results of the procedure are long lasting. Patients experience a fast recovery time. Minimal discomfort following the procedure. on Cosmetic and Complex Dentistry.